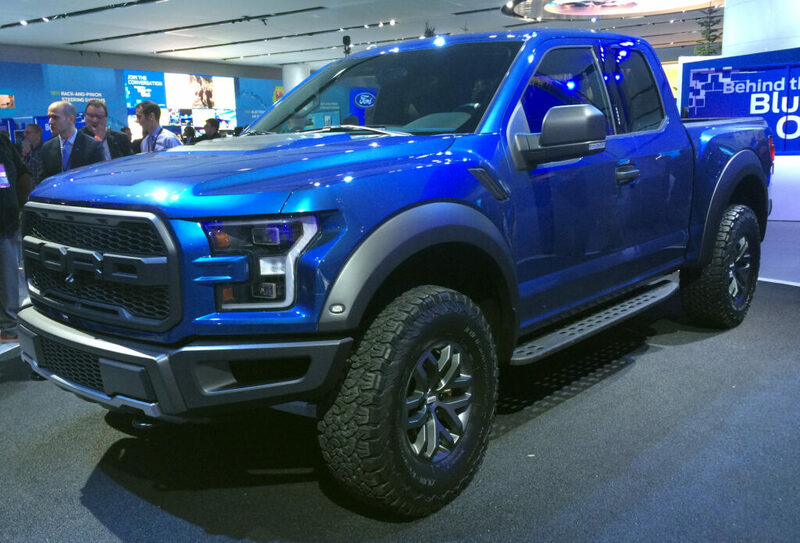 After last years impressive debut of the all-aluminum F-150 (which won the 2015 North American International Auto Show Truck of the Year Award), many people were thinking, “How can Ford top that?” Well, the Blue Oval had a few tricks up its sleeve and surprised the crowd by unveiling three new performance vehicles. It’s no secret that love Mustangs. 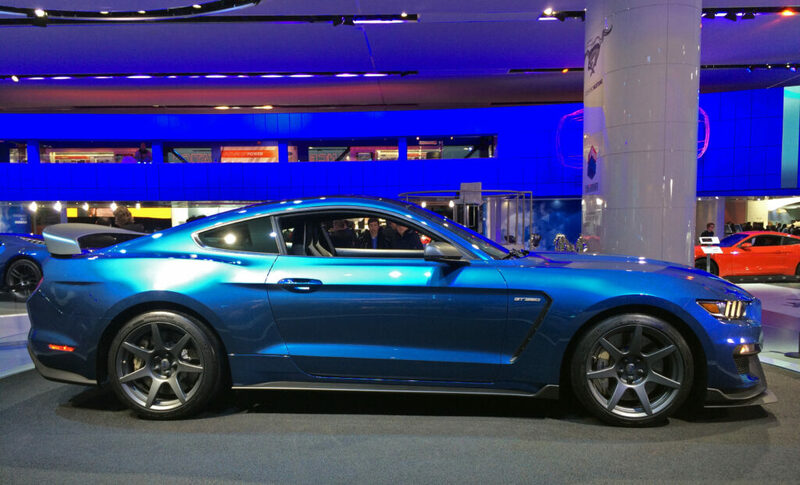 Last year, I was salivating over the 2015 Hennessey Mustang. 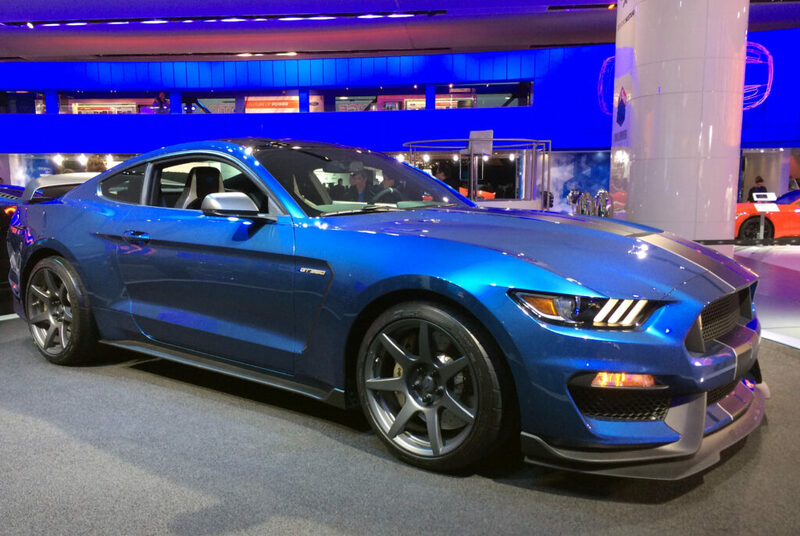 Now Ford is releasing their own high-powered version of the legendary pony – the 2015 Shelby GT350 Mustang. 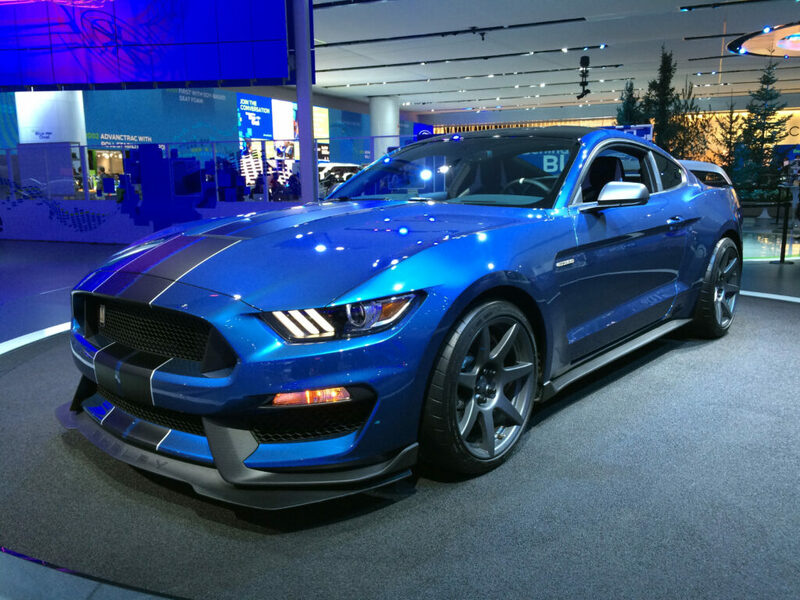 This muscle-car features a 500-horsepower 5.2-liter V8 engine, and a new front end that uses Ford Racing innovations to improve downforce in the car and cooling. 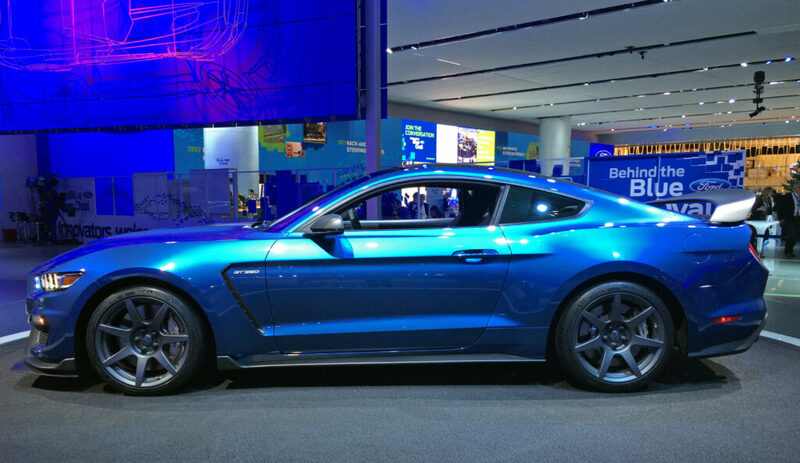 In order to boost the Mustang’s performance, Ford removed everything that didn’t make the car perform better including the air-conditioning. But when you drive this car, being cool is not something you will have to worry about. 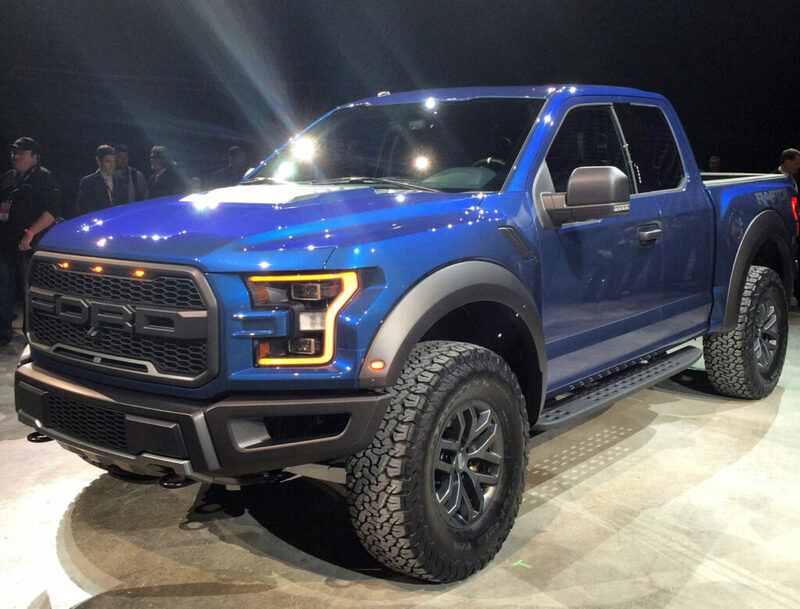 When I first saw the Raptor at an auto show, I knew it was special. After driving one, I was fully convinced (you can read my driving impressions in this post – The Ford Raptor SVT Will Make You a Real Road Warrior). For the 2017 model, Ford has taken all of the things that performance truck enthusiasts love about the Raptor and made them better. 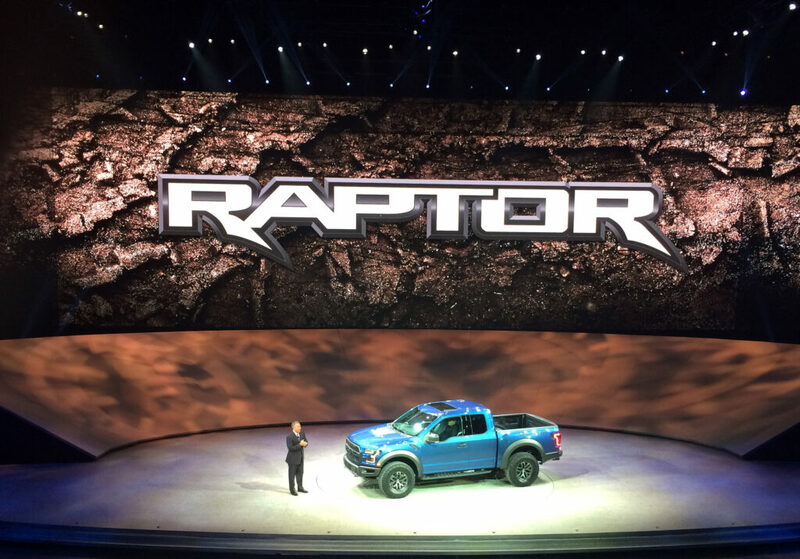 The new Raptor is powered by an all-new high-output 3.5L EcoBoost engine which gives the 2017 Raptor more horsepower and torque. 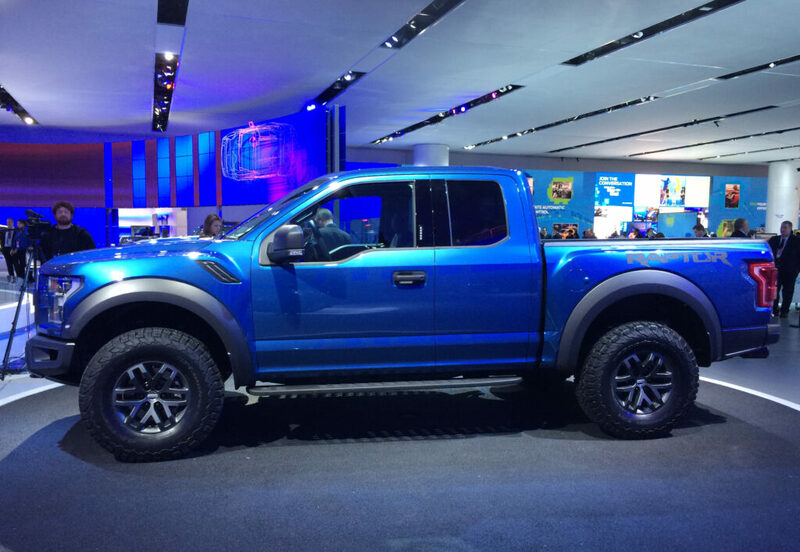 Like the F-150, the new Raptor is also built with high-strength, military-grade, aluminum alloy, slashing over 500 lbs. of weight. The Raptor is equipped with features allowing drivers to more easily navigate off road including standard larger FOX Racing Shox, standard 17-inch BFGoodrich All-Terrain T/A KO2 tires designed specifically for Raptor, a new standard torque-on-demand transfer case, and the standard all-new Terrain Management System allowing drivers to easily optimize the driving dynamics of the Raptor to environmental conditions. 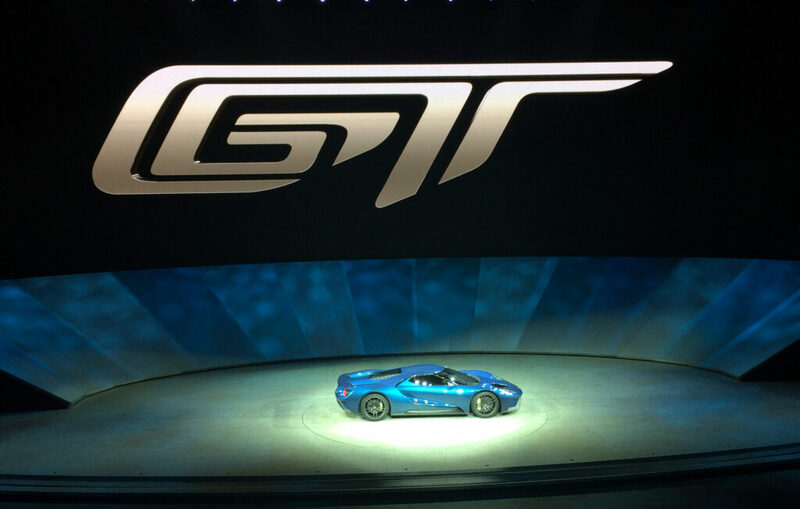 The star of the lineup is the Ford GT. The crowd went wild when the super car drove into the auditorium. 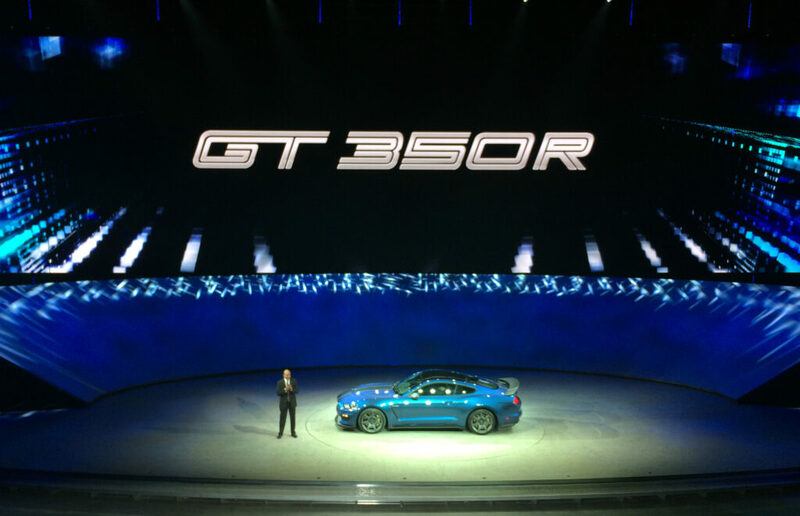 However, the enthusiasm was dampened a bit after the Ford executives discussed the delivery date. 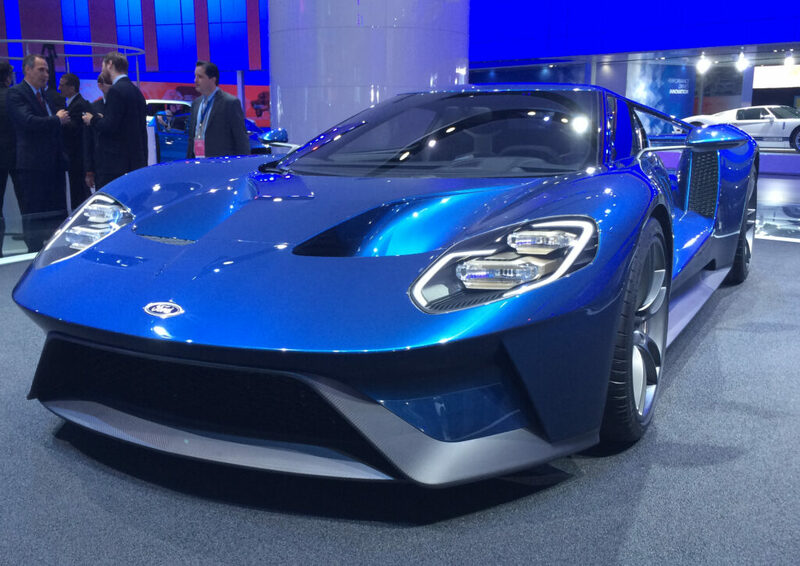 “When do you want to build it?” asked Ford CEO Mark Fields. “Next year,” said Executive Chairman Bill Ford. 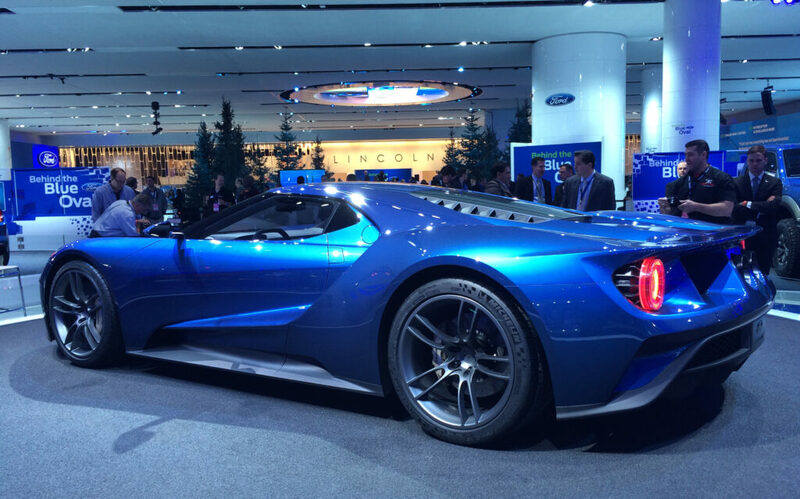 Nevertheless, the Ford GT is an awesome car that is worth waiting for. 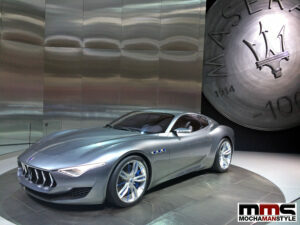 It has a 600 HP 3.5-liter EcoBoost V6 engine and an actuated rear spoiler to improve braking and downforce. The race inspired interior features a fixed driver’s seat and an F1-styled steering wheel. The dash is completely digital and fully configurable with multiple driving modes. 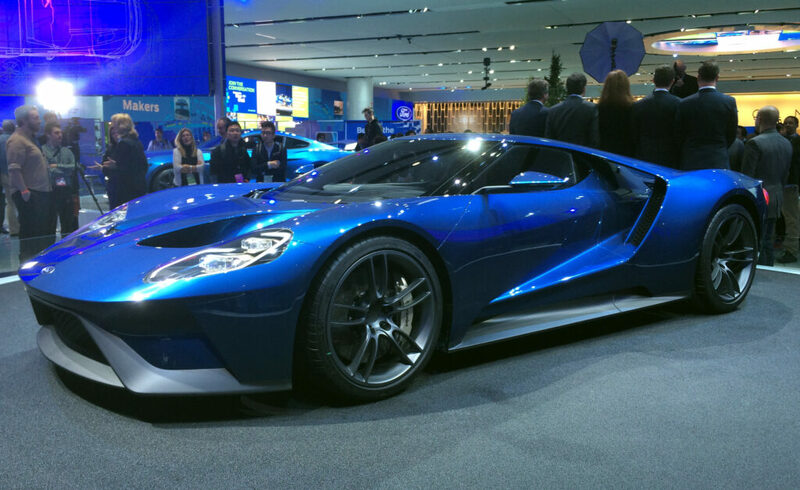 But I think most Ford GT buyers will only drive the car in one mode – fast. 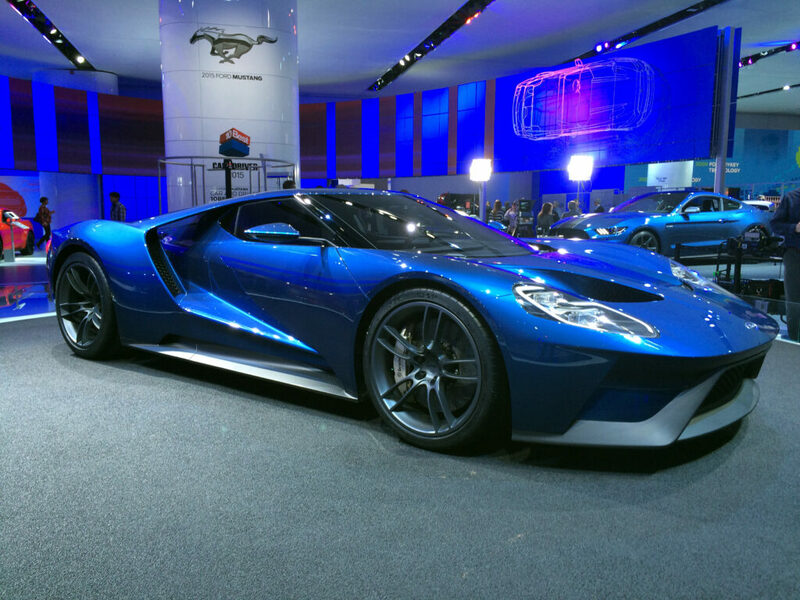 If you can’t wait until next year, you can test drive the Ford GT in the Forza Motorsport 6 video game on XBox. Disclosure: Ford paid for my travel, food, and lodging. All opinions are my own.